Are you ready to feel healthy, happy and well? To learn more about wholefood nutrition and how we can use seasonal foods to support wellness pop on in and say hey! Feeling a little bit shy? no troubles! 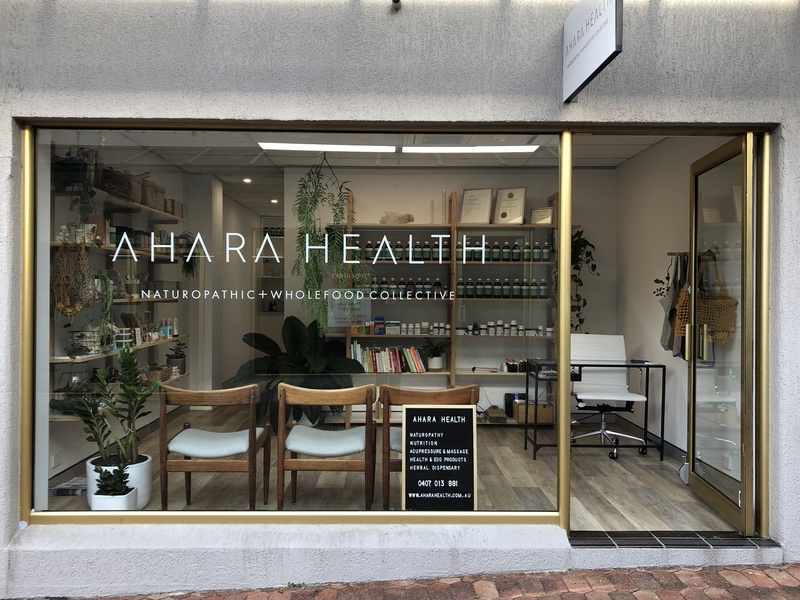 send an email through to hello@aharahealth.com.au to find out more information. We are located in the heart of the Northern Beaches, steps away from Newport Beach! On a really gorgeous day, you can smell the seaweed on the sand! 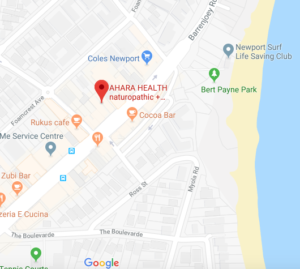 1hr street parking is available on Barrenjoey road, however, parking fines are never fun and we recommend parking in the free council parking on Foamcrest Av and enjoy the 2 minute walk to the clinic. Enjoying public transport? no troubles! AHARA HEALTH is moments away from Newport’s main bus top. We are located at the Northern end of Newport Beach shops.